This article first appeared in The Edge Financial Daily, on June 9, 2017. For the health-conscious, local food start-ups Amazin’graze and Root Cellar KL are offering traditional flavours with a healthy modern twist this Raya season. This Ramadan Specials Range features ingredients close to the heart of Malaysians and the festivities such as rose, rending, pandan, chilli, ginger flower and a variety of spices. Place your order online using the code FREEDELIVERY all this weekend to enjoy a waiver of the delivery fees when you order via Amazin’graze’s website. The Amazin’graze x Root Cellar KL’s range consists of food baskets, boxes and hampers containing 100% natural, preservative-free snacks — like rose macadamia granola, rending spice nut mix, pulut hitam cookies, gruyere and cumin twigs, chilli glazed peanuts and tempeh, pickled fruit chutney and ginger flower shortbread — and are priced between RM24.90 and RM250. Visit www.amazingraze.co or www.facebook.com/rootcellarkl to take your pick and place your orders. 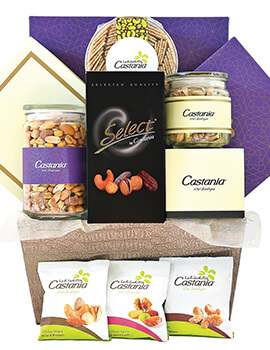 Castania Nut Boutique is offering a wide range of high quality and personalised gifting ideas this Raya season. Beautifully wrapped and tailored to suit each and every individual taste, the products are presented in handcrafted trays containing an assortment of candies, dates, premium dried fruit, nuts and chocolates packed in beautiful deep purple with gold motifs boxes. 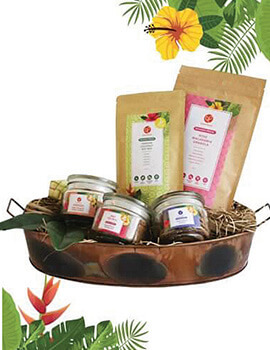 The hampers are priced between RM200 and RM500. Visit www.castania.com.my for more information. 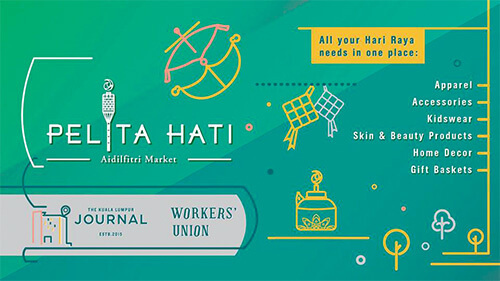 For a good dose of retail therapy for Hari Raya, check out Pelita Hati, the Aidilfitri Market at The KL Journal Hotel. The market will offer festive products from local businesses such as My Apparel Zoo, Frankitas, Batika by Hudaa, The Straits Finery, FERN, Yoke & Theam, Hajarose, AMAHL, Kooshboo, Lulu Lulu, Bingka, Senijari, Qenza, Owl by Dowlani, World Organic, Saffron & Rose and Jari Alana. You can expect to find ready-to-wear apparels, accessories, handmade skin and body care products, home decor, cookies, cakes and gift hampers. The market will take place all this weekend between 11am and 6pm at Workers’ Union on Level 1 of The KL Journal Hotel at 30 Jalan Beremi, Bukit Bintang Kuala Lumpur. Visit www.facebook.com/thekljournal or call (03) 2110 2211 for more details. Stroll along the hallways of Vallette Gallery to view the artworks by semi-abstract Malaysian artist Rafiee Ghani whose works are inspired by his last trip in Morocco in 2012. The watercolour paintings make up the Adventures in Wonderland. 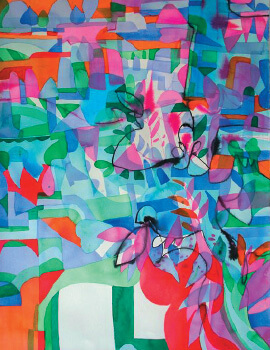 The colourful works, of which each title refers to an element of Morocco, transport us to this country as seen through the eyes of the artist. Visit the exhibition at 52 Jalan Doraisamy between 10am and 5pm today or 11am and 4pm tomorrow. Log on to www.facebook.com/pg/vallettegallerykl or call (019) 301 2569 for more information. The Solitude Series is the latest works by Juhari Said’s ongoing quest to further explore new methods and techniques to elevate printmaking. The ongoing exhibition at Wei-Ling Gallery sees the renowned Malaysian printmaker, with 35 years of experience, ponder upon the term “solitude”, a word that is often misunderstood as being the same as loneliness. He will also be exhibiting woodblock prints on washi — a type of Japanese handmade paper — that were made in 2010 for his solo exhibition held in Tokyo. Wei-Ling Gallery is located at 8 Jalan Scott, Brickfields, Kuala Lumpur and the viewing hours are from 10am to 6pm today, and 10am to 5pm tomorrow. 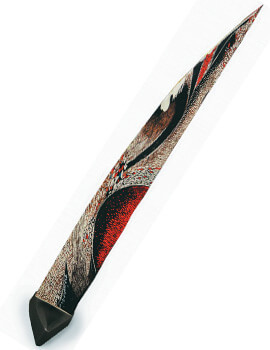 Visit www.weiling-gallery.com or call (03) 22601106 for more details. Unwind to the music of the Malaysian Philharmonic Orchestra with Mark Wigglesworth as conductor and Nemanja Radulovic on the violin. The trio will join forces in Tchaikovsky’s super-popular Violin Concerto — a hyper emotional passionate, reflective and introspective piece and in many ways reflecting the life of the man who wrote it — as well as Stravinsky’s Petrushka — a wildly colourful ballet score filled with picturesque details depicting a puppet show at a carnival scene in a 19th century Russian village. Tickets for the 8.30pm shows, today and tomorrow, at Level Two Tower Two, Petronas Twin Towers, Kuala Lumpur and are priced at RM200, RM160, RM130 and RM100 and can be purchased via tickets.mpo.com.my. Visit www.mpo.com.my or call (03) 2331 7008 for more details. The Bee at Publika presents Double Bill when the audience gets to enjoy performances by two great artists from the Malaysian music scene, back-to-back. 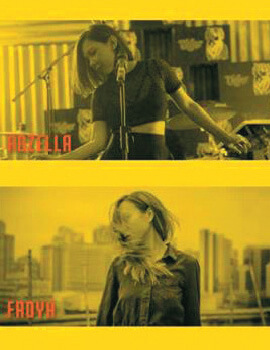 Tonight it will feature two Sabahan songstresses — electronic music artist Rozella and folk-tinged indie electronica music artist Froya. Admission is free and showtime is at 9.30pm today. The Bee is located at 36B Block C Level G2, Publika Solaris Dutamas, Jalan Dutamas 1, Kuala Lumpur. Visit www.facebook.com/TheBeeMY or call (03) 6201 8577 for more information. 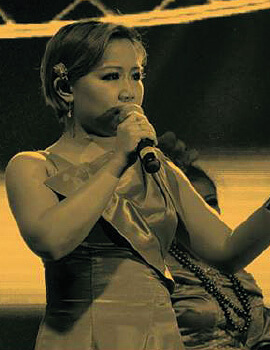 Be serenaded by local artist Shanel at BoboKL. She will share the stage with Joe B on the Bobo Grand, Amar Azalan on bass and Ayam on percussion, belting out tunes in the soul and funk genre. The show begins at 9.30pm today and tomorrow at 65-1 Jalan Bangkung, Bangsar Kuala Lumpur. Tickets are priced at RM50 or RM35 (for Bobo KL diners with a minimum spend of RM100). Visit www.facebook.com/pg/BoboKualaLumpur or call (03) 20925002 or (012) 753 8367 for more details. 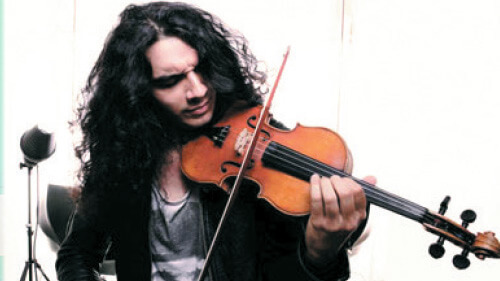 Head to Alexis Ampang for dinner and stay on to catch Gypsy Project, a trio that pays homage to the style of gypsy swing popularised by Django Reinhardt and Stephane Grapelli. 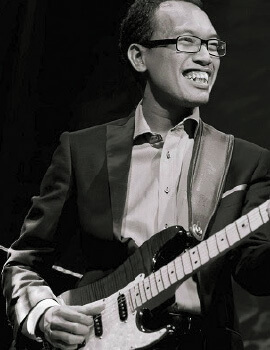 Their repertoire consists of mainly jazz standards and classic Malay jazz tunes sung by Tan Sri P Ramlee in a stripped down version with duo acoustic guitars and with vocals on some tunes. Groove to the 10pm show at Alexis Bistro Ampang, Great Eastern Mall, 303 Jalan Ampang, Kuala Lumpur. Visit www.alexis.com.my or call (03) 4260 2288 for reservations, dress code and more information. 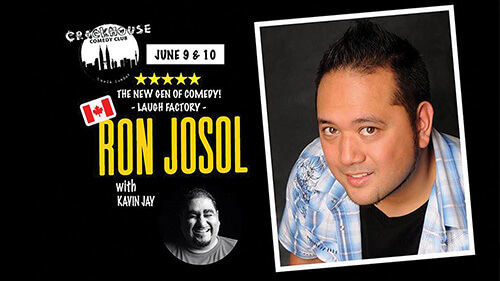 Ron Josol will take the stage at The Crackhouse Comedy Club KL tonight and tomorrow night. Having performed in Canada and throughout the world since 2003, Josol who started touring with mentor Russell Peters has since done comedy specials on Gotham Comedy Live, Carson Daily Show, Comedy Central, and the new Kevin Hart’s LOL Show. Tickets priced at RM40 (RM10 off for students with valid ID at the door) for the 9pm show for both days can be purchased via crackhouseronjosol.peatix.com. Doors open at 8pm and all no-show bookings and reserved seats will be released by 8.45pm. Visit www.crackhousecomedy.asia for more information.